Audemars Piguet introduced a revamped version of its Royal Oak Perpetual Calendar model characterised by a larger case, a new dial and a new movement. 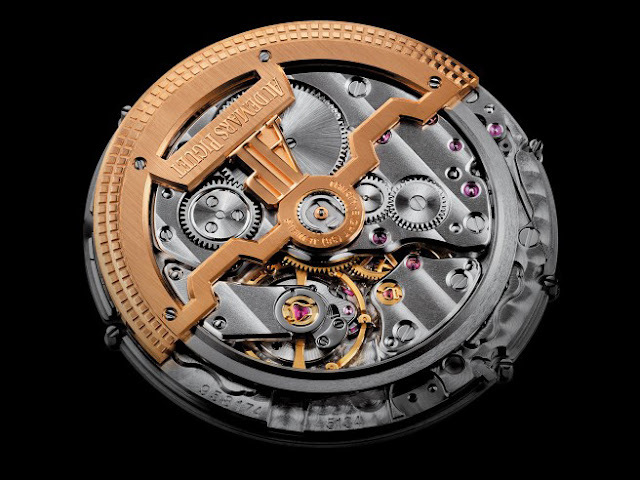 The case diameter of the new reference 26574 increases from 39 mm to 41 mm and will be available in stainless steel or in pink gold with two dial variations: navy blue or silvered, both with the signature "Grande Tapisserie" motif. 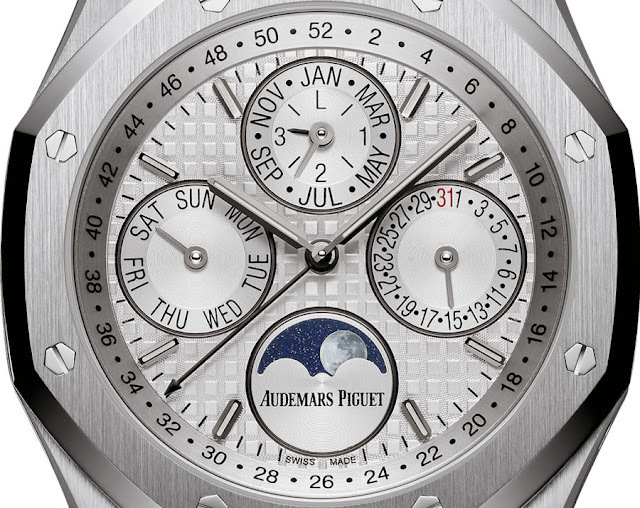 As a consequence of the larger size, the legibility of the calendar indications (day, date, month, leap year and moonphase) is enhanced. 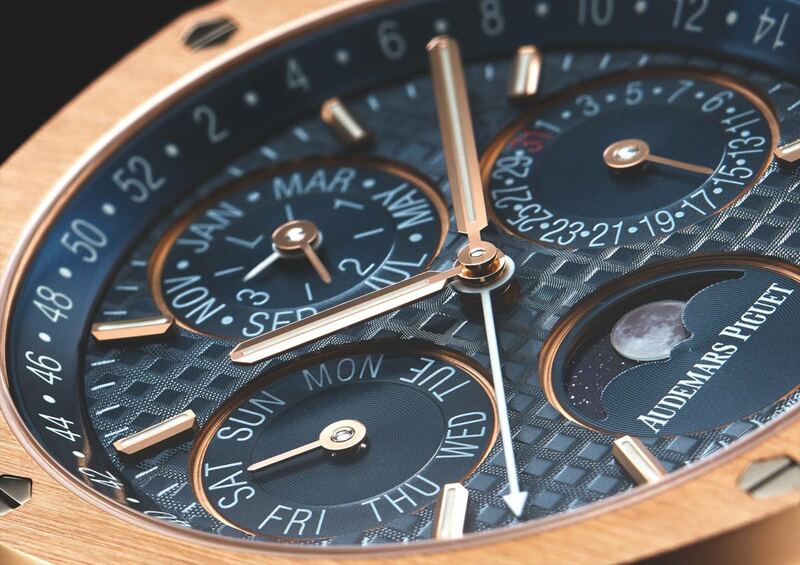 A third central hand indicates the week of the year displayed on the outer chapter ring. This is a new feature for the Royal Oak Perpetual Calendar model. 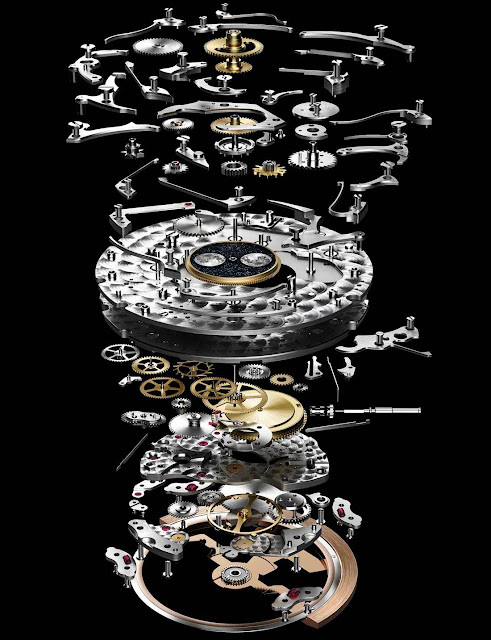 The movement is the self-winding calibre 5134, an updated version of calibre 2120 which better fits the larger case. Beating at 19,800 vibrations per hour and offering a power reserve of approximately 40 hours, the new movement is 4.31 mm thick and is visible through the sapphire caseback. 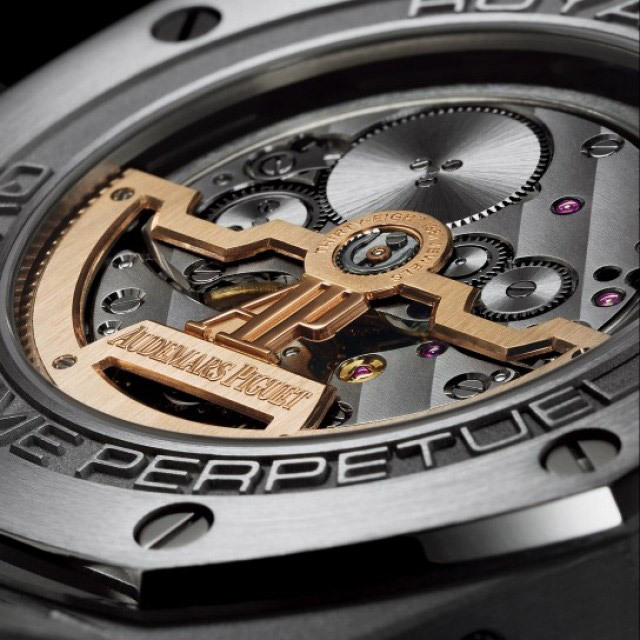 The mainplate is circular-grained while all bridges are bevelled and adorned with Côtes de Genève. 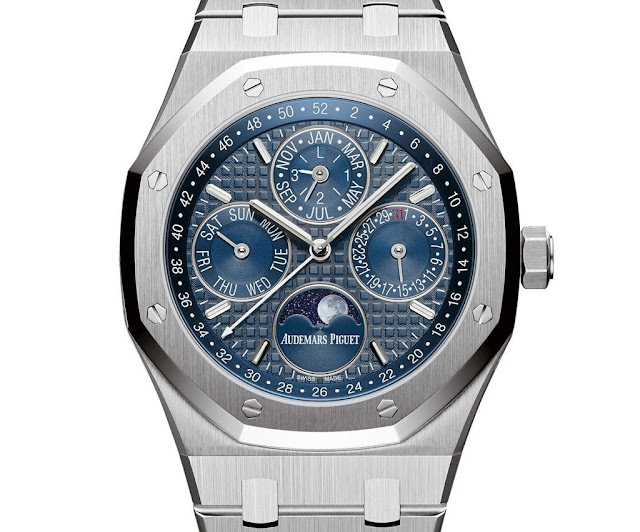 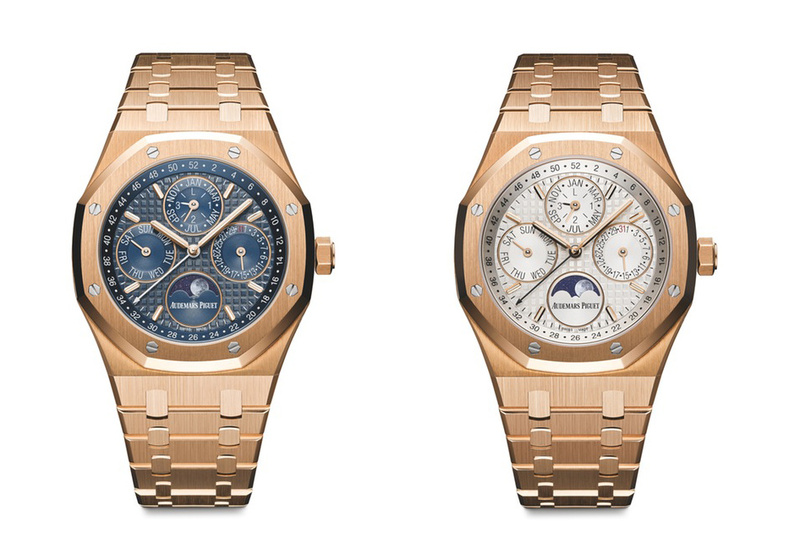 New Audemars Piguet Royal Oak Perpetual Calendar Ref. 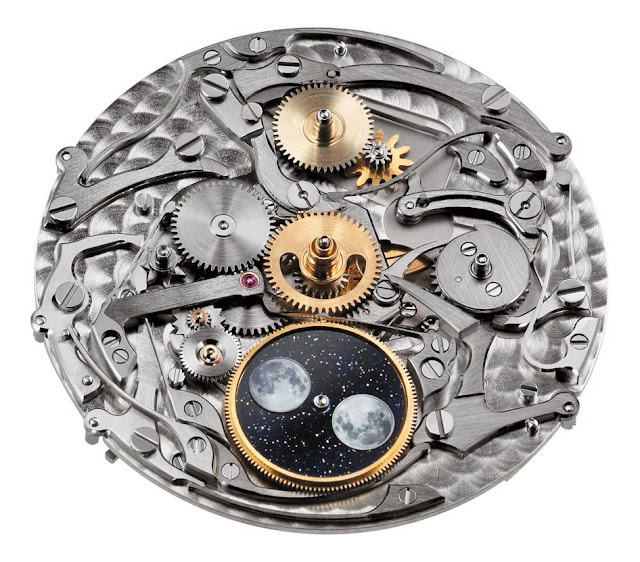 26574. 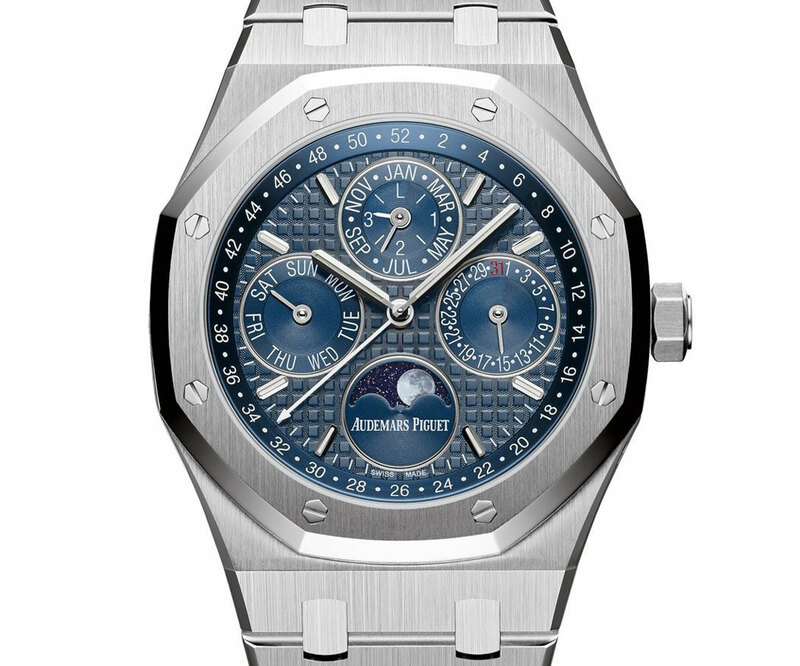 Audemars Piguet introduced anew version of its Royal Oak Perpetual Calendar model characterised by a larger case, a new dial and a new movement. Audemars Piguet Royal Oak Perpetual Calendar Ref. 26574. 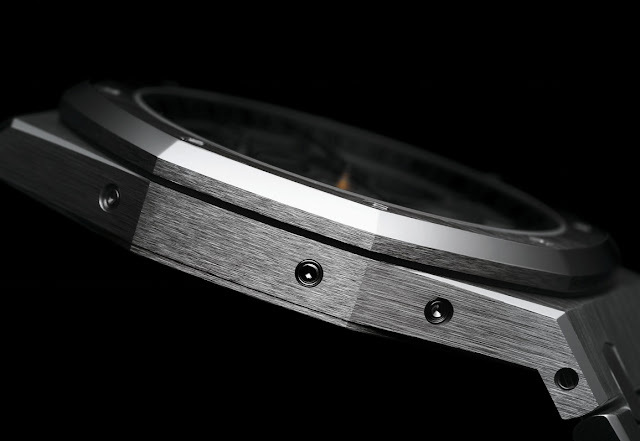 The case diameter of Reference 26574 increases from 39 to 41 mm. 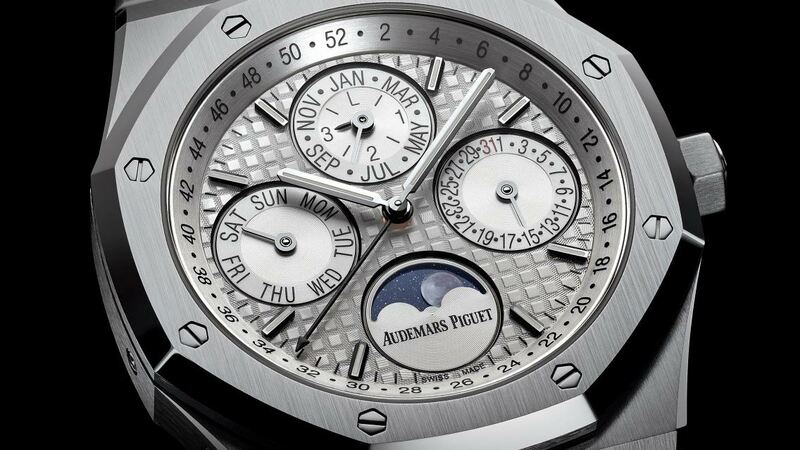 The Audemars Piguet Royal Oak Perpetual Calendar Ref. 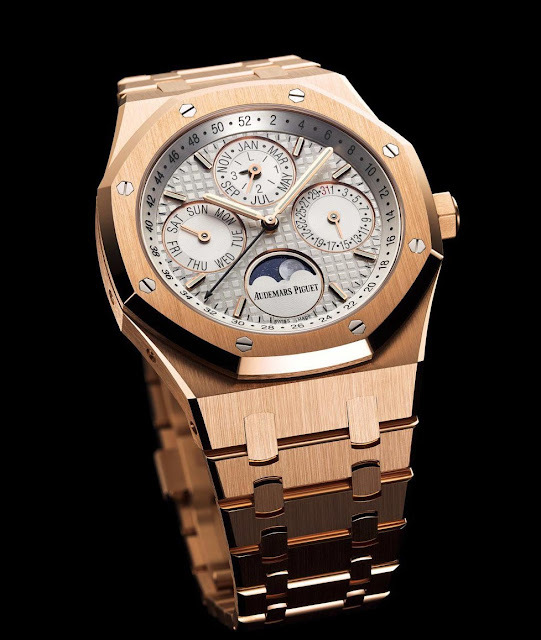 26574 will have a price of US$ 60900 in stainless steel or US$ 95700 in pink gold. 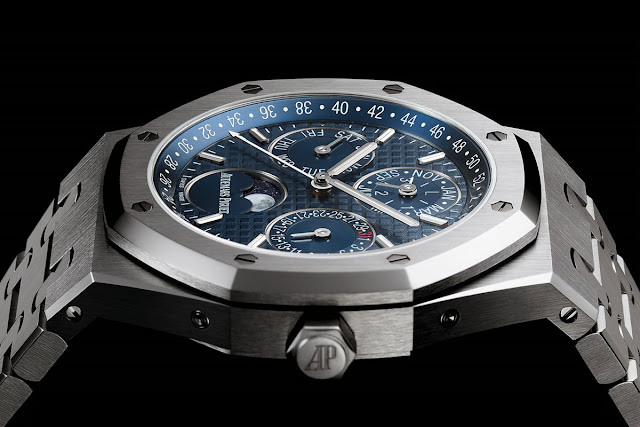 Audemars Piguet Royal Oak Quantieme Perpetuel. Royal Oak Perpetual Calendar 2015.